New television shows made their premiere last week. Which ones are you watching and are they any good? I tuned in to a couple of new ones. Bionic Woman - Well, it's not Lindsay Wagner, but it may last a season or two. It's a darker "re-telling" of the bionic story. As a member of the Steve Austin Six Million Dollar Man Bionic Action Club as a kid, I have a soft spot for bionic people. I'll be watching this one for a while. Life - This one stars Damian Lewis (Col. Winters from "Band of Brothers") but probably won't last. Too much Zen and New Age philosophy. I'll probably give it another couple of weeks and if it doesn't get any better, I'll tune in to something else. Now, for returning shows, The Unit is looking really good this year as are Heroes and Prison Break. OK, this morning I shared one of my most embarrassing moments in life. Why? Well, simply put, the story best illustrated the principle of committed friendship I was making. Following high school I entered a basketball league. Shortly before my game was to start, I mentioned that I had a "wardrobe malfunction." In other words, my athletic supporter broke. It was then I went into the stands and asked my good friend if I could borrow his underwear. The amazing thing is that he said yes. Pretty embarrassing, but I was able to play the game. BTW - he told me I could keep the briefs. What a shock, huh? Wow. I still can't believe it happened. My point is "do you have a friend that would sacrifice and give when you need him?" I hope you do. Hopefully, you didn't need to borrow his underwear, but hey, that sure does show he was a friend. 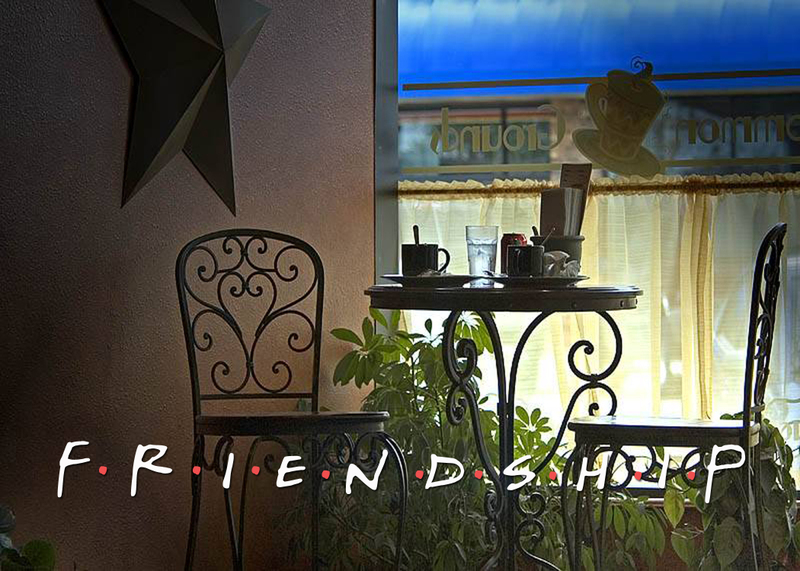 Do you have any stories of good friends being there when you needed them? Let me know. We are proud to announce the beginning of Clay County All Pro Dads. This group will have it's first meeting at Chick-fil-A in Fleming Island on Saturday, November 10 at 7am. What is All Pro Dad? All Pro Dad is Family First's innovative program helping men to be better fathers. All Pro Dad's 43 NFL spokesmen, multiple NFL seminars, 550 All Pro Dad's Days, and Play of the Day daily emails that reach almost 31,000 fathers each day, all inspire and equip fathers to be actively involved in their children's lives. And every month, over 90,000 fathers log onto AllProDad.com to benefit from insightful fatherhood resources. We'll also be going to the NFL Father & Kids Experience at the Jaguars stadium on November 17. Since 2002, the All Pro Dad Father & Kids Experience has been held 16 times in eight different NFL markets (Indianapolis, Tampa, Miami, Buffalo, Pittsburgh, Green Bay, Kansas City and Jacksonville). In 2007, we plan to bring the event to 12 NFL markets. Held at the team's practice facility or stadium, during this 3 hour event, Fathers and kids rotate through stations and participate in interactive games while learning fatherhood tips. Our goal is to eventually hold this annual event in all 32 NFL markets. Click here for information on our club. . .
Trust is so esssential and valuable in relationships. It's also very fragile. Listen to this message about the importance of trust. My wife gave me a copy of Tony Dungy's biography for my birthday. The book is titled Quiet Strength and describes Dungy's leadership style to a "T." Tony Dungy is the head coach of the Super Bowl champion Indianapolis Colts, and former coach of the Tampa Bay Buccaneers. This was one of those books that I just couldn't put down. It's more than a biography, it's a story of how God used an ordinary man with the willingness to serve in an incredible way. I was impressed how Dungy reminds the readers over and over that he's "just" a football coach and that there are many more important jobs in the world. He shares of his father and mother's godly instruction and how his family persevered through difficult times. I was impressed with his humility and his candor, especially in discussing how he and his family dealt with the recent death of their teenage son. There are no "pat" answers or phrases of religiousity, just honest, heart-felt descriptions of life. Whether you like football or not, this book is still a great read. One thing that struck me was his reference to the Christian athletes that used to play for the Jaguars (Brunell, Boselli, Brady, et. al.) and how he compared them with the believers he played with in the 1970s for the Steelers. He also reveals that he was second in line to receive the Jaguars head coaching job. That job, instead, went to Tom Coughlin. I can't help but wonder what our Jaguars would look like with Dungy at the helm. Hmmm. Dungy as coach, Brunell as quarterback, Boselli healthy. We'll never know what could have been. 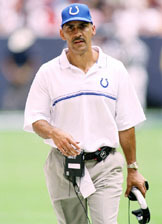 You can purchase Dungy's book from the link to the "Get Real Store" to the left. I'm excited to announce that Sid Woodruff, the Men's Ministry specialist for LifeWay Christian Resources and editor of "Stand Firm" magazine will be our featured speaker at the 2008 Battle Ready Men's Weekend. Sid is a great guy, but more importantly, has a real understanding of men's ministry and reaching men with the deep message of the heart. Be sure to mark your calendars now for this event. Go to www.realmanhood.org for more information. What's Happening to Men Around Here? I've been observing some incredible things happening in the lives of men here at First Baptist over the past few months. I remember coming to First Baptist years ago and, to be honest, there was not much going on regarding "men's ministry." There was the monthly men's prayer breakfast, but that was about it. In the old days, the "Baptist Brotherhood" would come together and strive to reach men and find them something to do. This was often a response to the WMU, or Women's Missionary Union groups that met in the church rather than a strategic move to reaching and connecting with men. Then, it happened. Sometime back in 1990 a group of men came together in Boulder, Colorado and a movement was born. This movement came to be known as Promise Keepers. Promise Keepers became newsworthy because of the vast number of men who flocked to stadium events. It seems Promise Keepers was big for a season. It still exists, but in a little different format. However, God used Promise Keepers to spur men on to living as authentic men and to discover true manhood. Since then, Ransomed Heart Ministries, with John Eldredge at the helm moved forward with the message of Wild at Heart. Thousands of men have read this book and attended Boot Camps based on this. Other groups and ministries developed that added to men's movement: Men's Fraternity, Man in the Mirror, Raising a Modern Day Knight, Letters From Dad, etc. I'm proud to be a part of a church where the men are "getting it." We have had hundreds attend our Battle Ready Spring Men's event throughout the years, as well as groups develop through Men's Fraternity and Letters From Dad. Folks, God is up to something great here with the men of our church. He's calling out the men and through this call is going to change our world. Check out our website - www.realmanhood.org for more information on this men's movement at First Baptist. This past Sunday night I had the privilege of sharing the vision for First Baptist to the church body. 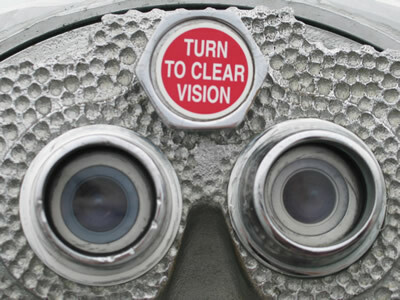 I am convinced that it is time to adjust the plans of our church to continue to fulfill God's vision for us. As I said Sunday, the vision never changes, in that it's based on the Great Commission and Great Commandment, but the plans to reach that vision are always changing. If you weren't here, click here (Download staying_focused.pps) to view the PowerPoint presentation I presented. I believe most of the information needed regarding the new schedule, satellite campus, and plans are addressed as well as answers to the majority of questions that have been asked. Community is one of those buzzwords that churches have been using recently. The danger with buzzwords is that we forget the true meaning. It loses some of it's punch. Community is a goal for believers and for churches. While we strive to create community here at First Baptist, the truth is that we cannot create community. However, we can create opportunities for people to grow closer together and develop the type of community desired. The wisest man to ever live (except of course for Jesus, who was man, but God as well) Solomon wrote in Ecclesiastes about the value of true friendship. This is the second sermon in our "Friendship" series.